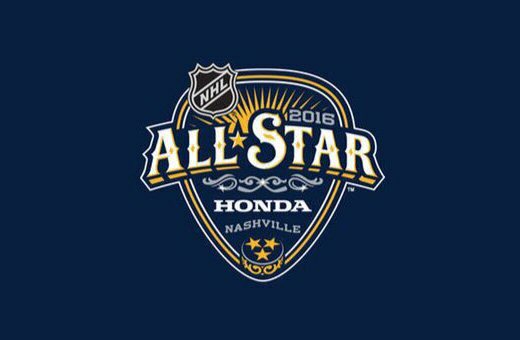 The 2016 NHL Fan Fair hit Music City (Smashville, Tennessee) Thursday, January 28, through Sunday, January 31, 2016. It was four days of action for families and fans that featured appearances, interactive games, live broadcasts, meet & greets, memorabilia, music, Q&As, trophies and more. Music was also showcased every day. 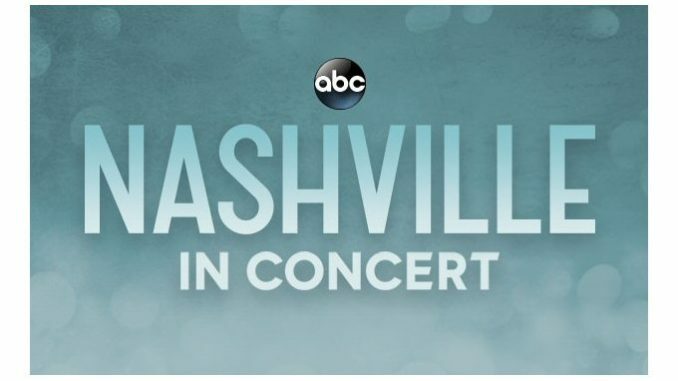 On Saturday an all-star line up from the TV show “Nashville” including Charles Esten, Clare Bowen, Lennon & Maisy performed at Fan Fest. Lennon and Maisy from Canada professed their love of hockey at the NHL Fan Fair. Inside Music City Center the event was geared towards all ages with displays, hockey history, interactive games, rinks and an opportunity to touch and be photographed with the Stanley Cup. The large Honda Stage had full scale lighting and sound systems. The outdoor activities that were open to the public included free music, prizes, and s’mores provided by Kroger. Music City was a Hockey Hub during the last days of January with all Fan Fair venues centrally located to each other and also near hotels, restaurants and the Honky-Tonks. The weather also cooperated. Only a week earlier Nashville had been slammed by Winter Storm Jonas leaving piles of snow that would have made getting around difficult. On Saturday one could have called “Winter Park” Spring Park as it was in the 60’s for the “All-Star Red Carpet Walk” that took place at three in the afternoon before the evening’s “All-Star Skill Competition”. 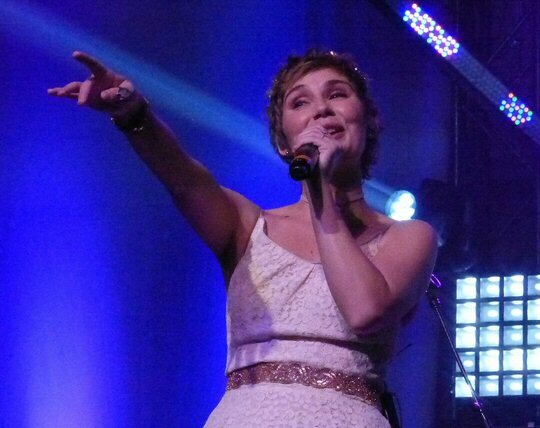 Clare Bowen played a diverse set of songs in Nashville. 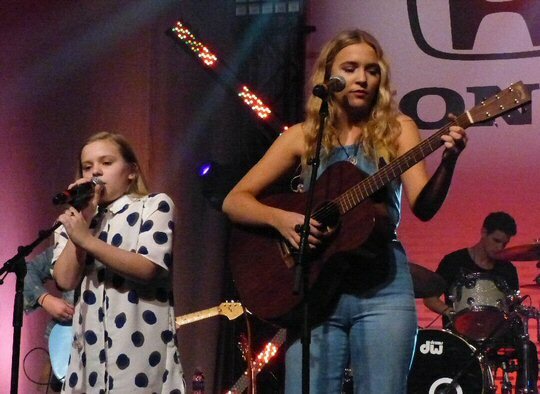 There was a sizable crowd at the Honda Stage Saturday morning when Lennon & Maisy (Stella) appeared. The young duet originally from Canada moved to Nashville, Tennessee in 2009 for the whole family to pursue music although in recent years the focus has been on the girls. Their Dad Brad was in their band. “Hello,” greeted Lennon who played a number of guitars during their engaging set. They expressed excitement being there as hockey is very important to them. Lennon & Maisy were both strong singers and their voices blended beautifully especially on the Joni Mitchell classic “Big Yellow Taxi”. Other highlights of their presentation included “Call Your Girlfriend” and the catchy “Boom Clap”. “Ho Hey” from the TV show was another point scored by this dynamic duo. Next, Clare Bowen entranced the crowd with originals and fan favorites from “Nashville”. Bowen was backed by the well-respected Sixwire who are regularly seen on “Nashville”. In honor of Fan Fest the quintet was sporting personalized NHL All-Star jerseys .Clare was dressed in a flowing dress with no shoes but she was a show-women who knew how to work the stage, shaking hands with fans as she smiled and sang to the crowd during “My Song”. 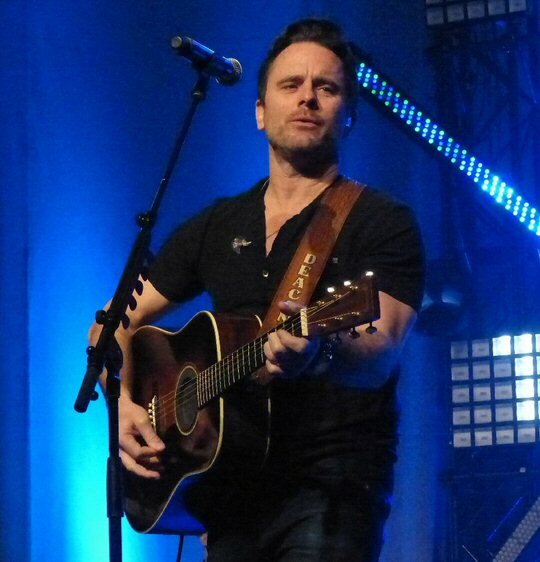 Charles Esten embraces playing the Deacon character as his guitar strap shows. “Very first song I wrote in Nashville,” recalled Clare as she shared a tune for all the people alone in a strange place, very appropriate for Music City where a lots of folks are coming from someplace else. People cheered when Esten joined Bowen for a song. Her tune “Drum” was propelled by a good beat paired with the message to be true to yourself. The snappy “Learn To Love Again” was written in response to a bad break-up. Clare was personable performing a fine mix of her own material along with memorable songs from “Nashville”. “Welcome to Nashville,” enthused Charles Esten who took the stage right after Bowen. Esten was also supported by the stellar Sixwire. “This Town is Ours Tonight” rocked and was perfect for a hockey event. “Let me hear you make some noise,” he declared. “Do You Good” kept the mood up and showcased Charles’ vocal range. “Losing so many great artists, one of my favorites,” said Charles as they presented their own innovative spins on David Bowie’s “Heroes” and “Peaceful, Easy Feeling” in honor of the great Glenn Frey. Esten encouraged fans to sing along to the Eagles’ classic. “Back Home” and “Like New” from “Nashville” were hits at Fan Fair. The Stanley Cup in the house; before the Preds there was the Nashville Knights. Clare joined Charles for an animated “That’s All Right Mama” (Elvis). As Bowen exited Esten joked that he loved her like a niece. He said it was “a joy to play Deacon. He goes through a lot of stuff everyone does,” Esten mused before presenting a bold version of “Through The Blue”. “I wrote this next song (“He Ain’t Me”) for Rayna James when she chose Luke,” recalled Charles who easily stepped in and out of the Deacon role. Charles even had a guitar strap with the character’s name on it. Through the closing jam Esten introduced the members of Sixwire as they each stepped up for a short solo before Deacon strolled off during the outro. The “Nashville” cast was a good draw as many folks at the Honda Stage were there for all three acts with still plenty of time to explore Fan Fest that was capped off by the “All-Star Game” played on January 31, 2016. It was a 3-on-3 tournament where the four divisions faced off in a winner-take all format. In this new setup, each class had a roster of six forwards, three defensemen and two goalies. One player from each was voted onto the team by the fans to serve as captain. The All-Star groupings included at least one player from every team in its division. The hosting Nashville Predators had three representatives listing goalie Pekka Rinne, defensemen Shea Weber and Roman Josi on the Central Division All-Stars. The games were 20 minutes in length with a total of 44 players participating. Happenings took place indoors and outdoors over the course of four days. On the streets of Nashville were large hockey pucks with pictures of the players who participated in the “All-Star Game”. The outdoor Bridgestone Winter Park hosted free activities and music by Big & Rich, Lee Brice, Chris Young, Dierks Bentley, Kelsea Ballerini, Aaron Lewis, Eli Young Band, John Hiatt, and Tara Thompson. The indoor concert series featured performances from Charles Esten, Clare Bowen, Lennon & Maisy, Tracy Lawrence, Lonestar, Danny Gokey, MercyMe, Lewis Brice, Ryan Hurd, LOCASH, Russell Dickerson, Steven Lee Olsen, Craig Wayne Boyd, DJ DU, and DJ Rock. Seeing the cast of “Nashville” was one of many high points during the NHL’s 2016 Fan Fest which appears to have been a “smashing” success.